The Tampa Bay Rays head to U.S. Cellular Field on Sunday, September 3, 2017 to take on the Chicago White Sox. The expected starting pitchers are Matt Andriese for the Rays and Lucas Giolito for the White Sox. The odds for this matchup have Tampa Bay at -150 and Chicago at +140. The Rays have a 67-66-3 over/under mark and a 67-69-0 run line record. The White Sox are 69-64-0 against the run line and have a 62-66-5 over/under record. The Rays have a 68-68 overall record this season. Starting pitcher Matt Andriese has a 5-1 record with an earned run average of 3.38 and a WHIP of 1.28. He has 55 strikeouts over his 64 innings pitched and he's given up 60 hits. He allows 8.4 hits per 9 innings and he has a FIP of 4.62. The bullpen has an earned run average of 3.99 and they have given up 383 base hits on the year. Teams are hitting .232 against the bullpen and they've struck out 387 hitters and walked 165 batters. As a team, Tampa Bay allows 8.2 hits per nine innings while striking out 8.2 batters per nine innings. They are 8th in the league in team earned run average at 4. The Rays pitchers collectively have given up 1,111 base hits and 539 earned runs. They have allowed 164 home runs this season, ranking them 16th in the league. Tampa Bay as a pitching staff has walked 426 batters and struck out 1,099. They have walked 3.2 men per 9 innings while striking out 8.2 per 9. They have a team WHIP of 1.27 and their FIP as a unit is 4.23. As a team Tampa Bay is hitting .246, good for 25th in the league. The Rays hold a .427 team slugging percentage and an on-base percentage of .319, which is good for 21st in baseball. They rank 24th in MLB with 8.3 hits per game. Logan Morrison is hitting .251 with an on-base percentage of .354. He has 111 hits this season in 442 at bats with 79 runs batted in. He has a slugging percentage of .532 and an OPS+ of 138. Corey Dickerson is hitting .288 this year and he has an on-base percentage of .333. He has totaled 148 hits and he has driven in 58 men in 514 at bats. His OPS+ is 125 while his slugging percentage is at .508. The Rays have 1,134 hits, including 197 doubles and 193 home runs. Tampa Bay has walked 466 times so far this season and they have struck out 1,297 times as a unit. They have left 943 men on base and have a team OPS of .745. They score 4.32 runs per contest and have scored a total of 588 runs this year. Chicago has a 52-81 overall mark this year. With an earned run average of 2.77, Lucas Giolito has a 1-1 record and a 0.92 WHIP. He has 8 strikeouts over the 13 innings he's pitched. He's also given up 9 hits. He allows 6.2 hits per nine innings and his FIP stands at 6.05. The bullpen has an earned run average of 4.33 and they have given up 412 base hits on the year. Teams are hitting .240 against the White Sox bullpen. Their relievers have struck out 439 batters and walked 200 opposing hitters. As a team, Chicago allows 8.9 hits per nine innings while striking out 7.8 batters per nine innings. They are 28th in the league in team earned run average at 4.83. The White Sox pitchers as a team have surrendered 1,158 base knocks and 626 earned runs this season. They have given up 201 home runs this year, which ranks 3rd in Major League Baseball. Chicago as a staff has walked 525 hitters and struck out 1,009 batters. They give up a walk 4.1 times per 9 innings while they strike out 7.8 per 9. Their team WHIP is 1.44 while their FIP as a staff is 5.14. As a team, they are batting .255, good for 15th in the league. The White Sox hold a .413 team slugging percentage and an on-base percentage of .313, which is good for 26th in baseball. They rank 17th in MLB with 8.7 hits per contest. 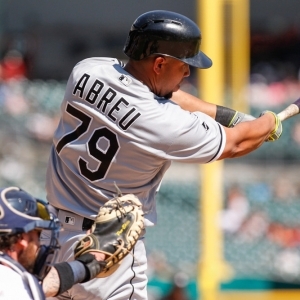 Jose Abreu comes into this matchup batting .301 with an OBP of .355. He has 156 hits this year along with 80 RBI in 518 AB's. He maintains a slugging percentage of .537 with an OPS+ of 137. Tim Anderson is hitting .241 this season and he has an OBP of .260. He has collected 115 hits in 478 at bats while driving in 45 runs. He has an OPS+ of 72 and a slugging percentage of .387. The White Sox as a unit have 1,152 base hits, including 213 doubles and 148 homers. Chicago has walked 333 times this year and they have struck out on 1,130 occasions. They have had 866 men left on base and have an OPS of .727. They have scored 4.27 runs per game and totaled 568 runs this season. Who will win tonight's Rays/White Sox MLB game against the spread?